If there is one thing that I’m actually looking forward to with the metric tons of rain that is falling at BangShift Mid-West right now, it’s lawn care season. There is little more I love than hopping onto the lawn mower and chopping down the acre-plus plot of onion grass that does a fantastic job of masquerading as a lawn. I’ve always enjoyed lawn care, ever since childhood. It’s peaceful. I don’t care if I’m riding a lawn tractor or if I’m using one of those old push mowers…as soon as I start mowing the grass, it’s everything I’ve got going until I’m done. Nice, relatively peaceful, and it checks off some housework that I usually need to be dealing with anyways. There isn’t a damn thing peaceful about the lawn tractors you will see here. Nothing. There is no one-note drone of the mower making pass after pass…instead it’s a scream that sounds oddly V8-like for many of these machines and it’s a V8-like effort from each one too! Don’t worry if that isn’t enough power for you, there are some V8 powered machines in the video as well! There are a couple that act more like lawn tractors but some of these little beasts are more violent than we’d ever give them credit for on sight alone! Watch Amazing Levels Of Dumb Luck Turn A Disaster Into The Cleanest Amateur Truck Jump Ever Watch Mark Stielow Run Down, Chew Up, And Blow Off, A Porsche in His Awesome Hellfire Camaro - Porsche Guy Didn't Want Him Coming By! 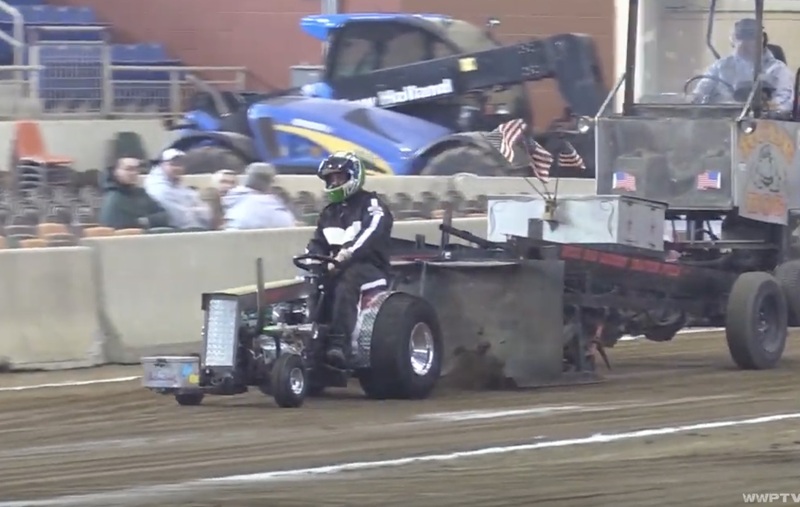 I haven’t been to a “garden tractor pull” in years They are unbelievable machines.In the 90’s A friend of mine had one .He was making 90 HP out of a single cyl. 16 HP Koler engine.